If you copy a bunch of folders + files to another drive, maybe as a makeshift backup, and restore them later- the folders will all get new timestamps on them. Not a huge deal, but if you’re looking for that project you were working on a couple years back, it’s helpful to sort by modified date and narrow down your search. Typically the files inside the folders will maintain their correct timestamps (created + modified dates), just the folders will lose this data. 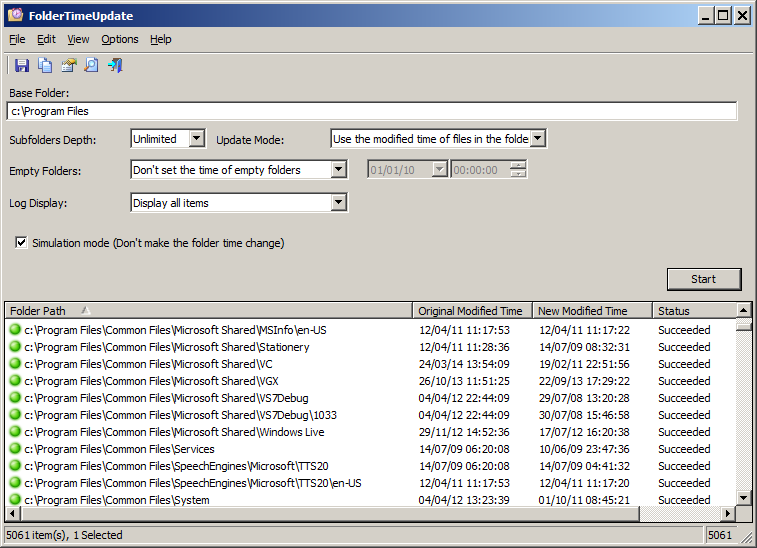 This tool simply scans all folders/sub-folders and finds the newest modified date on the files contained inside, and then updated the folder modified date to match this. It won’t necessarily exactly match what the folder’s original stamps were, but.. it’s better than nothing.